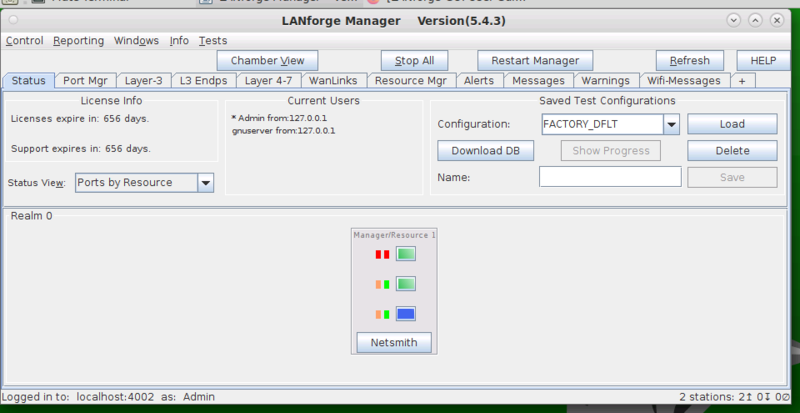 Goal: Allow LANforge-ICE to sit transparently on a network segment by using a Bridged Mode WanLink to simulate a WAN. 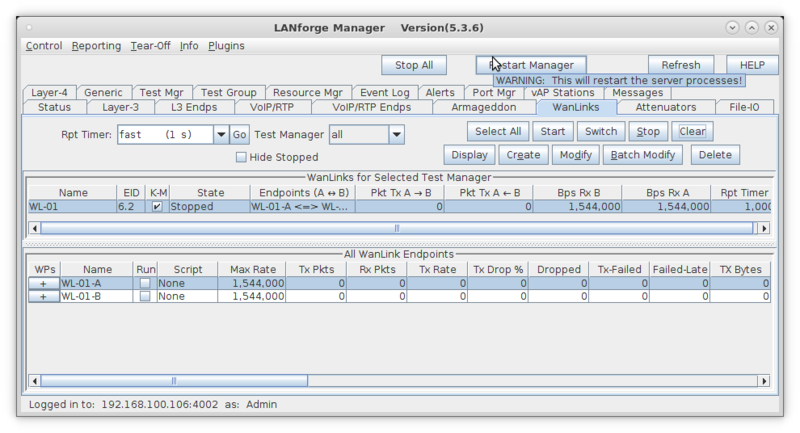 In this test scenario, a LANforge-ICE WanLink is created in Bridged Mode to simulate a WAN consisting of a DS1 speed (1.544Mbps) link with 20ms of delay in one direction and 30ms of delay in the other direction. 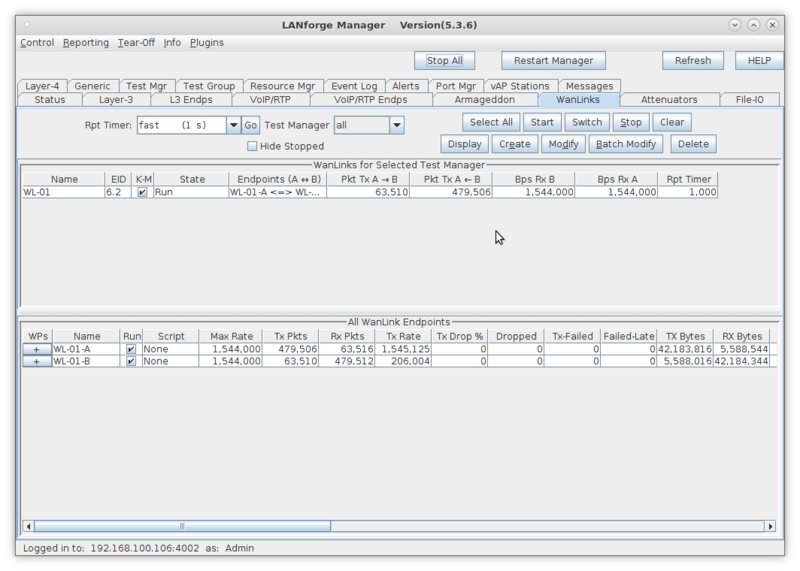 A: Go to the Port Manager to see what ports are available. In this example, we will use eth1 and eth2. eth0 is the management port and cannot be used for WanLinks. 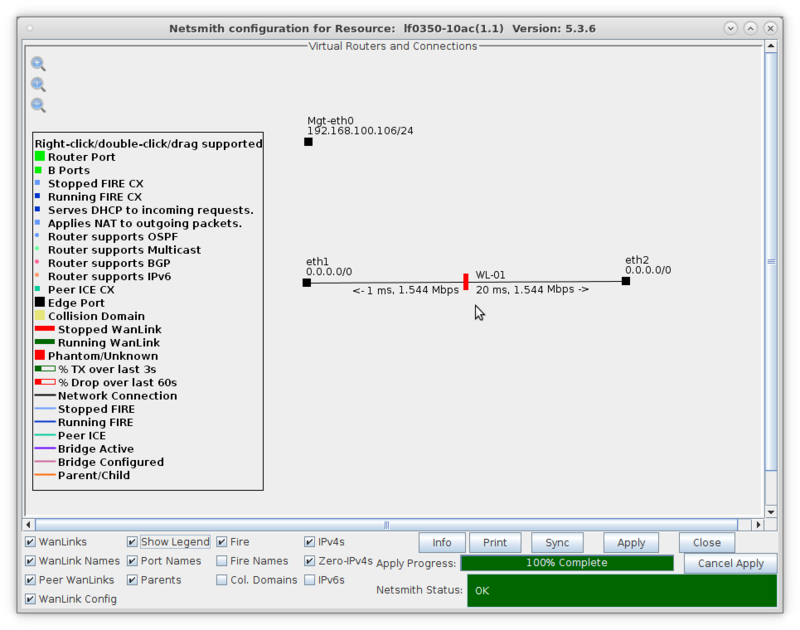 This is the general form of a Bridged Mode WanLink in Netsmith. It consists of two 0.0.0.0 IP addressed ports with a vertical bar between them. 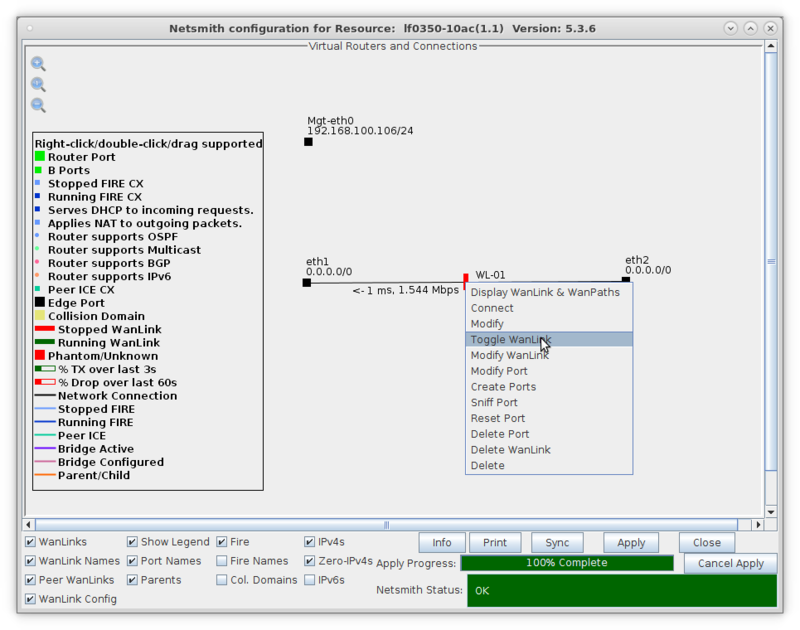 Run traffic and verify results. The transmitting/receiving devices can be just about anything that generates and receives traffic such as a web server and client or a pair of LANforge-FIRE ports. For more information see Refer to the LANforge FIRE Cookbook to run traffic. The total delay as experienced by the transmitting/receiving device is the sum of the WanLink configured delay and the serialization delay which in this case would be about 28ms in one direction and 38ms in the other.